Last week we took a look at Bing, the introduction of its personal assistant Cortana and its possible rise in popularity. In essence, we made an argument for optimising for it to improve traffic – after all it has 18% of search – not a figure to be balked at. In addition, Yahoo is powered by Bing (it holds 12% of the market share), meaning it’s a 2 for 1 scenario and optimising for Bing will also increase Yahoo ranking. So, obviously the next question is how do you go about optimising for that 30% of all traffic? However, though these ranking factors could make you think “why bother?” – there are plenty of reasons to. Searchmetrics found that only 37.3% of the domains on the first pages of either search engine were the same. This suggests that there are some notable differences in optimisation. Social media and social optimisation is the big difference between Google and Bing. Unlike Google, which doesn’t take, or say it takes, social media into account for optimisation; Bing does. Other interesting factors around this are to do with the fact that Bing views people as more influential if they have a higher follower to following ratio. Bing explicitly mentions you should encourage social sharing too. According to a Searchmetrics study, Google+1s, Facebook comments and Facebook shares are the top three ranking factors, while tweets and pins also matter. Bing also views link building in slightly different terms than Google does – though in the majority of cases they’re exactly the same in regards to links, buying links and reciprocal links. Bing’s also got its own Webmaster Tools – creatively titled Bing Webmaster Tools. The tools are free as you’d expect and allow you to configure areas such as site maps, ignore URLs, disavow geo-target and submit webpage URLs. 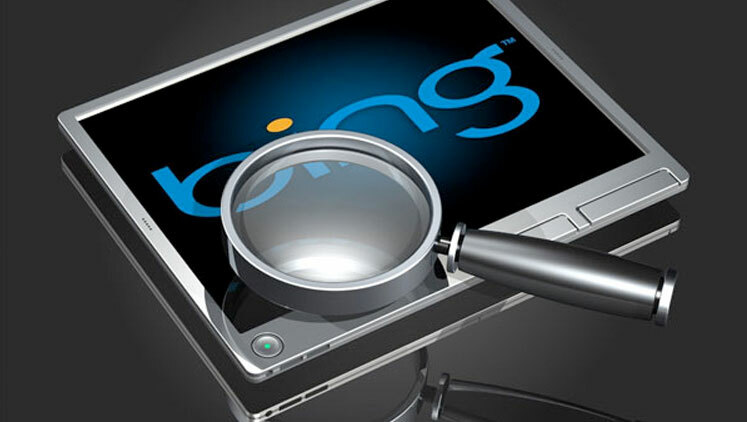 Page views, search visibility, CTRs, average search click and ranking all appear in Bing. There are also lists of links, suggestions for better onsite SEO via the SEO Analyser, visual software and crawl information provided in the same way Bingbot sees it. Like Google, Bing is increasingly focusing on mobile and optimising Bing Local Profile is a necessity – it’s all quite similar to Google Places in its functionality and the way it works. See how to optimise here. Google and Bing clearly share a lot of similarities in ranking; however there are some differences too. Not optimising for Bing is leaving a large part of the market open to competitors – so we’d certainly advising putting some thought into it and including it as part of your SEO strategy.